In this week's Free Lesson Friday, Troy Stetina teaches four killer rock licks using three-notes-per-string scale patterns—essential tools for every rock/metal/shred guitarist. For more on the topic, check out his complete lesson Three-Notes-Per-String Scale Patterns. Lin-Manuel Miranda's smash Broadway hit Hamilton has become one of the most popular and successful musicals in history. 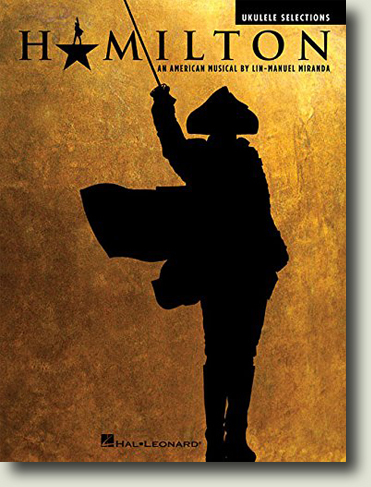 From the hip-hop grooves throughout to the poignant ballad "Burn" to the dark humor of sing-along "You'll Be Back," Miranda's take on the life of founding father Alexander Hamilton has redefined musical theater. We're excited to bring 10 of the show's most popular songs to you arranged for ukulele. "Da da da dat da dat da da da da ya da, da da dat dat da ya da!" By the time he released his 1970 self-titled debut solo album, guitarist Eric Clapton had already become a "guitar god" via his monumental work with the Yardbirds, John Mayall's Blues Breakers, Cream, and Blind Faith. The biggest cut from that record was Clapton's cover of J.J. Cale's "After Midnight," featuring a deceptively difficult uptempo guitar riff and slick, signature unison bend licks in the solo. In 1988, Clapton recut the track at a much slower tempo with a laid-back groove for a Michelob beer commercial. But it's the 1970 original that we tasked instructor Doug Boduch with teaching to you. That main riff is tricky, so be sure to heed Doug's advice on getting it right. And here's the 1988 remake. Which version do you prefer? In this week's Free Lesson Friday, instructor Wolf Marshall offers an introductory glimpse at the classic Freddie Green jazz guitar comping approach, taken from his Beginning Jazz Rhythm Guitar Lesson. New Beatles Song Lessons for "Something" and "Ticket to Ride"
For all the (rightful) talk of the Lennon-McCartney songwriting greatness, the Beatles had a bit of a secret weapon in guitarist George Harrison, who penned some absolute gems. His song "Something," from the Beatles' 1969 release Abbey Road, is the second-most covered Beatles tune (after "Yesterday") and truly one of the band's best. In our newest G-Plus Song lessons, you'll learn how to play this beautiful ode to Harrison's then-wife Pattie Boyd, as well as the band's jangly 1965 #1 hit "Ticket to Ride." The "King," Elvis Presley, released his cover of Junior Parker's "Mystery Train" in August 1955. While Elvis strummed the chords, the great Scotty Moore picked the famous riff. Instructor Doug Boduch shows you all the tips and techniques you need to get this barn-burnin' track under your fingers. Michael Jackson's 1982 release Thriller is the world's best selling album of all time. Seven of the album's nine tracks were released as singles, with none more popular than the 3rd single and subject of our newest G-Plus Song lesson, "Beat It." Propelled by the driving rock of the main riff—recorded by Toto guitarist and session legend Steve Lukather—and featuring an explosive guitar solo by none other than Eddie Van Halen, the song is widely considered one of the greatest guitar songs of all time.